Warm weather is the perfect excuse to wear the prettiest of outfits, don’t you think?! Tonight I thought I’d pay some attention to the blog (as life has been so busy I’ve totally neglected it other the past few weeks) and show you not only what I wore today, but my BRAND NEW Chloe Mini Faye bag!!! 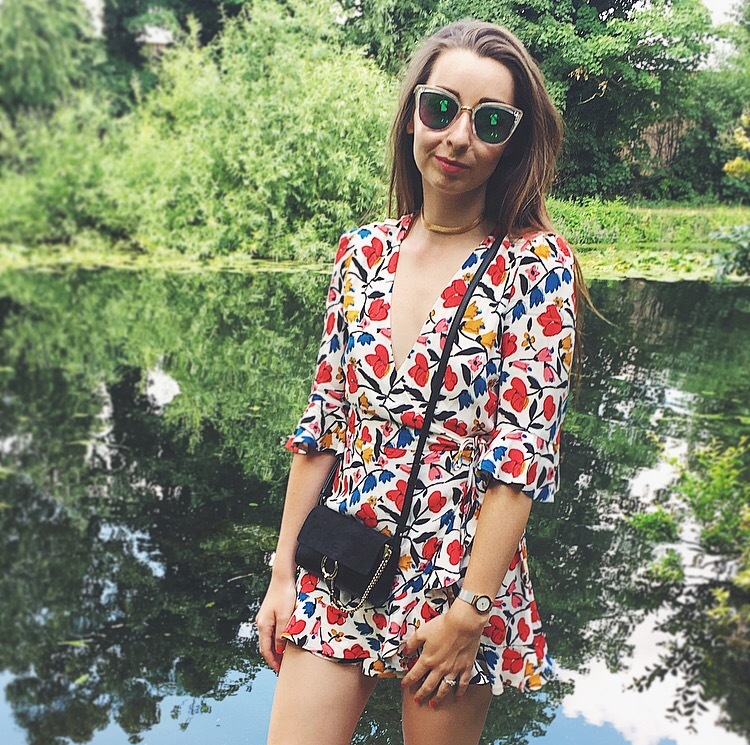 I got this Zara playsuit from my younger sister for my birthday and it is SO dreamy! The print (which looks like tulips to me) the colours, the ruffles and the fact that it looks like a tea dress (which are so in right now btw!) 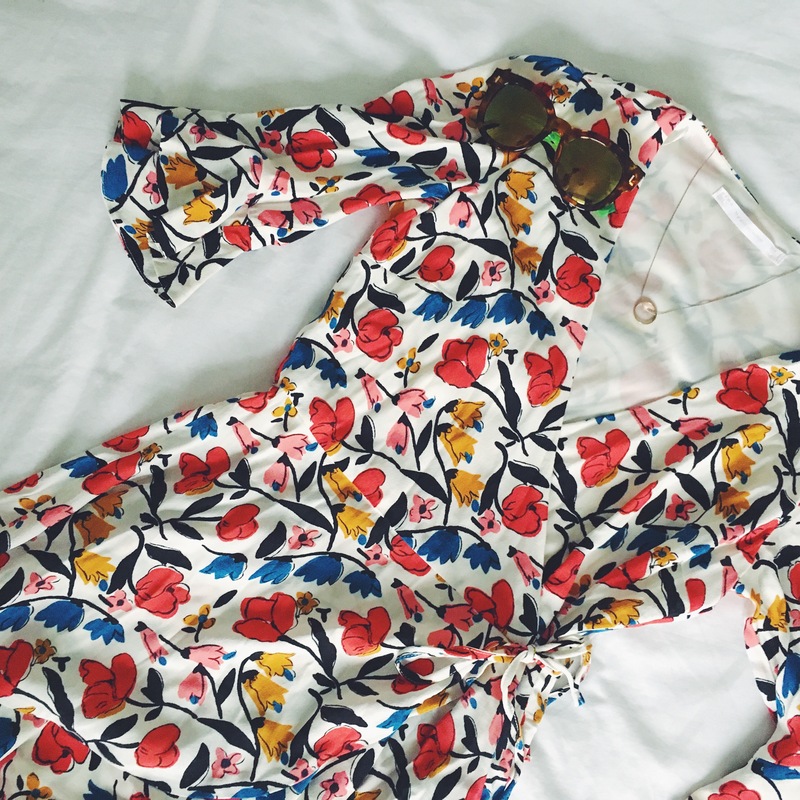 just makes it the perfect summer staple! It’s great for a day or night wear as it can so easily be dressed up or down. 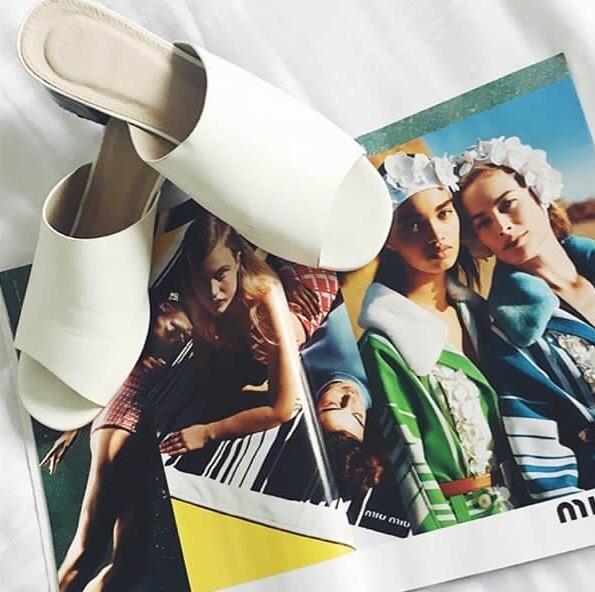 These are actually a pair of mules that I got from ASOS last year, but are still in for this season so I continue to wear them! I thought they looked super cute with this playsuit and were slightly more dressy than a normal sandal, which I liked. A gold chain choker from Primark was the perfect thing to finish of this look. Believe it if not this was in a set of 5 chokers that only cost £3.50 for the lot! Such a bargain and they were all lovely, too! Of course I’m wearing my Skagen watch, as I live with it attached to my wrist and my gorgeous engagement ring, too. My sunglasses are from Primark, too and were only £3! I love the coloured lenses and the shape of the frames – so cool and such a bargain! 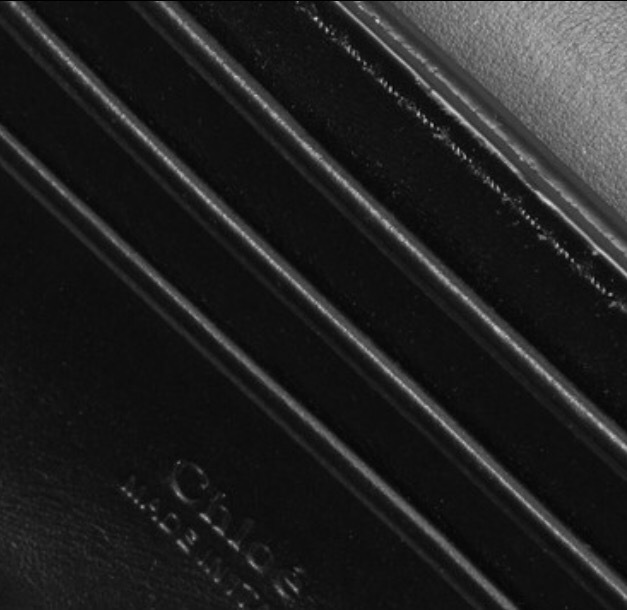 CHLOE mini faye, find here. I decided to use my birthday money (and my wages) to treat myself to a new mini bag. I think mini bags are a complete essential for anyone’s handbag collection, because they’re just so nice to take out on a day’s shopping, to brunch or an evening meal and even to the cinema or something. 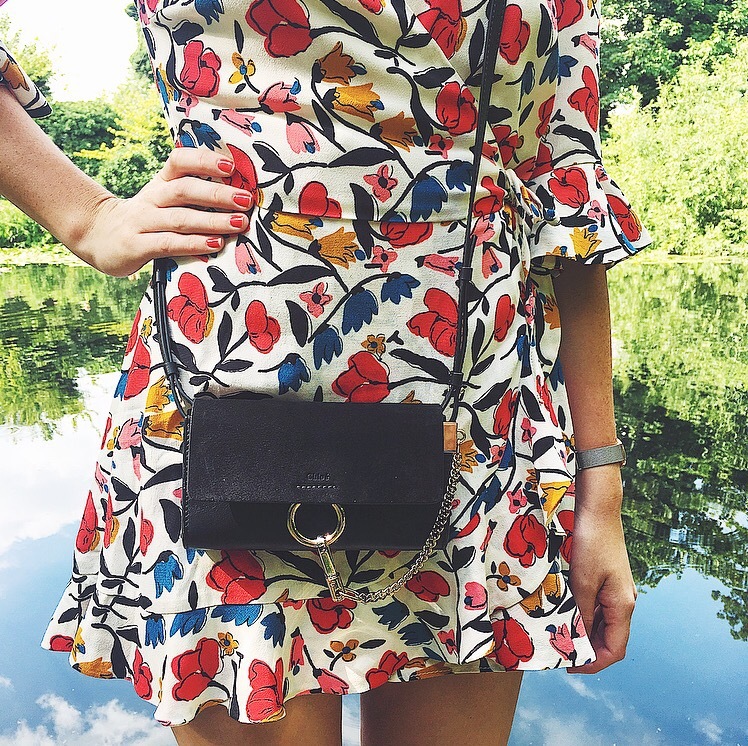 Sometimes a big bag is just too much or too heavy, so a mini bag is perfection! 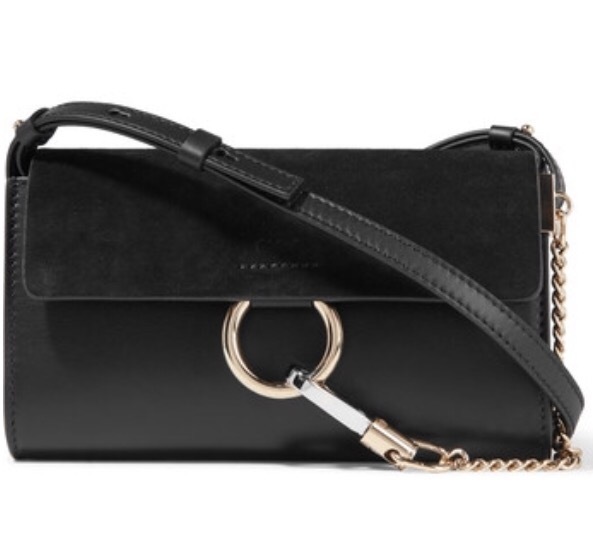 I decided on the Chloe Faye because it is just very chic. I love that it’s leather and suede and the gold chain and ring detail sets it apart from anything else I had seen of a similar size. Inside there are 3 card slots (as noticeably it’s a bit too small to chuck a purse inside) which is really handy and today I managed to fit my keys, phone and some makeup inside…the essentials! Don’t get me wrong, the bag is pricey at £525, however eBay has an insane dupe for less than £12! So if you want the look for less, click here! What do you think of today’s outfit and my new splurge purchase?! I’d love to know so don’t forget to scroll all the way down and leave a comment in the box!